(Newser) – When you're running the country, being narcissistic may come in handy. Psychologists and experts on presidential personalities have put together a list of the presidents who had the most "grandiose narcissism"—which, the Houston Chronicle explains, is characterized by a showy and extroverted personality. That's in contrast to "vulnerable narcissism," which involves being more sensitive. More than 100 authorities on various presidents assessed the leaders' traits; to judge a president's success, researchers referred to surveys of historians, Futurity reports. Our most grandiosely narcissistic president? 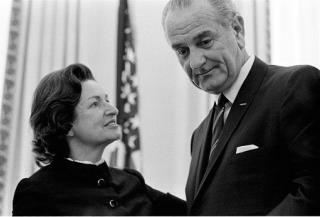 One Lyndon Baines Johnson, the study finds. The problem with calling all these examples cases "narcisissm", is that just because you think you're great doesn't mean you actually might not be! If you are, then it's not called "narcissism". It's called "being honest". Like Muhammed Ali said (between his repeated lines of "I am the greatest!") "it ain't boasting, if it's true!" The whole purpose of this stupid column is distraction. Just lets make sure that in the opinion of so called "experts", we have had tons of narcissists in the White House in the past, but the real malignant narcissist residing over there at present time is not even mentioned! Voila! The whole talk must die since the "experts" have spoken. Bunk.